The Irish Funds Hong Kong Seminar will be taking place on Tuesday, 15 January 2019. 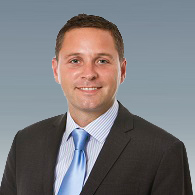 Mr. Kevin Rideout joined HKEX in April 2015 as Head of the Global Client Development. He is principally responsible for the global client sales, relationship management, marketing activities and market development. 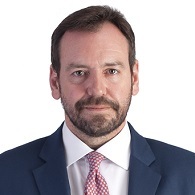 Mr. Rideout joined HKEX from Citigroup, where he served as Head of Wholesale Execution Services, Asia and was Chief Spokesman on the implementation of Stock Connect in Hong Kong. Prior to this, he was based in London for Citigroup as the Global Head of Market Infrastructures and HFT Clearing Group. Prior to joining Citigroup, Mr. Rideout spent 10 years at Thomson Reuters. He held various positions in Thomson Reuters, including Regional Manager Hong Kong, Regional Director Japan and Korea, Managing Director Asia in Singapore and Managing Director - Global Head of Relationship Management and Sales in London. Mr. Rideout holds a Bsc (Hons) Environmental Chemistry from the University of Hertfordshire UK. 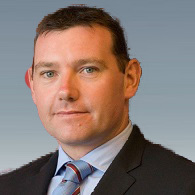 Pat Lardner joined Irish Funds as Chief Executive in April 2012. 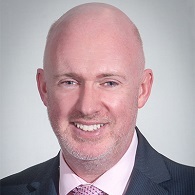 He has over twenty five years’ experience in the global asset management industry and has held executive/leadership positions in Ireland and overseas with firms managing a broad range of both traditional and alternative investment strategies. Pat is an active participant on all significant Government sponsored groups relating to funds in Ireland, is a member of the Board of the European Fund and Asset Management Association and is an Advisor to the Asset Management Association of China’s International Partners Committee. He is a past Council Member of the Irish Association of Pension Funds and a former Director of both the Irish Association of Investment Managers and the International Investment Funds Association. He attained honours undergraduate and postgraduate degrees from University College Dublin. Conor is local representative for the Irish Funds Industry Association Limited in Hong Kong and is also a Managing Director at Jefferies Inc. He is former Chairman of the Irish Chamber of Commerce of Hong Kong and heads up the Financial Services Committee of the ICC. He has 19 years’ experience in Asian investments, starting out his career at Kleinwort Benson Investment Management as a global equity portfolio manager in 1994, focused on Japan. KBIM subsequently became RCM. From 2000-2005 he was one of the founders, a partner and senior analyst at Europe’s first independent research firm, Arete Research. In 2005 he got seeding for, launched and managed the Dublin- quoted HSBC Global Technology Alpha fund, a long short hedge fund focused on Asian technology, and subsequently ran similar strategies at Balyasny Asset Management and Morgan Stanley Strategic Investment Group until 2011, when he joined Jefferies as Head of TMT Specialist Sales Asia Pacific. Conor has a first class honours in International Marketing & Languages from Dublin City University and an MSC in Finance from London Business School. John van Verre is the head of global custody at HSBC Securities Services. 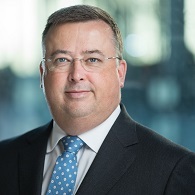 He joined HSBC Securities Services in June 2008 as head of the unit in Singapore, and in 2010 became acting managing director for HSBC Securities Services in Ireland. He joined HSBC from ABN AMRO Mellon Global Securities Services, where he was most recently chief commercial officer. As head of global custody, van Verre is responsible for the management and development of HSBC Securities Services global product proposition. Van Verre is based in London. His primary focus will be to drive the establishment of a consistent global operating model/technology platform and to further accelerate the delivery of a market-leading global custody product offering. 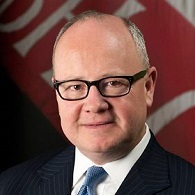 Michael F. McGovern is a Managing Director and Head of the firm’s Investor Services Fintech offerings, which include middle office services, Infomediary®, and software-as-a-service technology solutions for asset managers and financial institutions. Michael is focused on data strategy and client information delivery channels – two areas that asset managers and financial institutions have increasingly looked to leverage for revenue generation, cost control, and product enhancements. Previously BBH's Chief Information Officer and Head of Systems, Michael was responsible for the management and leadership of the firm’s technology strategy, application development, and systems infrastructure across all business lines. Michael joined BBH from Citi Transaction Services in 2013 where he spent a decade serving as Managing Director and Global Technology Head of Securities & Fund Services. His tenured career in information technology includes significant and industry-relevant posts at Chase Manhattan Bank and Chemical Bank. Michael received his training in Electrical Engineering at Stevens Institute of Technology. 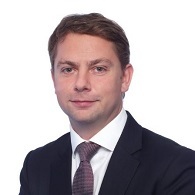 James joined Standard Chartered Bank in early 2017 as Head of Securities Services Hong Kong and Head of Clearing and Custody Product for Greater China and North Asia. James is responsible for driving the Securities Services business in Hong Kong and the development of clearing and custody products in the Greater China and North Asia region. Prior to joining Standard Chartered, James spent 8 years at BNP Paribas Securities Services in a number of roles across Sales, Relationship Management and Product Management in London and Hong Kong and 6 years at Bank of New York. 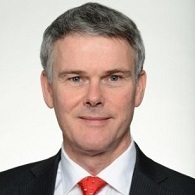 Alan O'Sullivan is a Managing Director and Head of European Business Development for Brown Brothers Harriman. 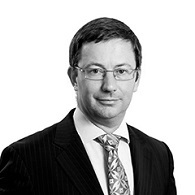 Alan also serves as a Director of the BBH Fund Administration Services (Ireland) and BBH Luxembourg Fund (SICAV). Alan has been with Brown Brothers Harriman for 20 years and has held a number of senior positions within the Relationship Excellence Division, both in Boston and Dublin. Alan is a graduate of University College Dublin and is one of the initial groups that qualified in the Certified Investment Fund Directors Programme at the Institute of Bankers in Ireland. Alan is currently a member of Council of Irish Funds and serves as Chair of the Industry body for 2016/2017. Ms Choi is a member of the Securities and Futures Commission (SFC). She is also an Executive Director with responsibility for the Investment Products Division, which is responsible for authorising and supervising collective investment schemes and other investment products as well as for the development and implementation of the SFC’s asset management strategy and policies. Ms Choi has been with the SFC for over 10 years. She has extensive regulatory knowledge and experience in the policies and requirements for investment products both in Hong Kong and internationally. She played a lead role in the design and launch of various mutual recognition of funds (MRF) arrangements between Hong Kong and other jurisdictions, in particular the ground-breaking MRF arrangements with Mainland China. 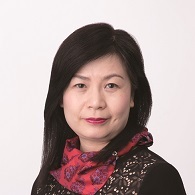 Prior to joining the SFC, Ms Choi practised as a solicitor in Hong Kong and was a partner of the Corporate Group of the international law firm, Clifford Chance. 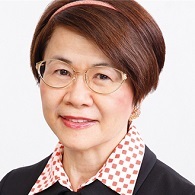 Ms Choi chairs the Products Advisory Committee and the Committee on Real Estate Investment Trusts. She also sits on the SFC (HKEC Listing) Committee and the Executive Committee. She is also a member of Hong Kong Trade Development Council’s Financial Services Advisory Committee and Asian Financial Forum Steering Committee. Alexa Lam is chief executive of Asia-Pacific for ICI Global. She previously was professor of legal practices at the University of Hong Kong, where she will continue to be a visiting professor. Lam was a longtime official at the Hong Kong Securities and Futures Commission (SFC), where she most recently served as deputy CEO and executive director for investment products, international, and China. She actively promoted financial cooperation between Hong Kong and China on capital market opening, new reform policies, and cross-border market innovations, including the Renminbi Qualified Foreign Institutional Investors (RQFII) and Mutual Recognition of Funds programs. Lam has 20 years of experience in corporate and commercial law practice in Hong Kong, Chicago, and New York, and holds law degrees from the University of Hong Kong (UHK) and the London School of Economics. 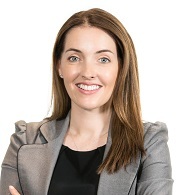 Michelle is a partner and head of the Irish desk in Maples and Calder's Hong Kong office, where she provides full service Irish funds solutions to the firm's Asian client base from a more convenient time zone. Michelle has broad experience advising on the establishment, authorisation and operation of various types of UCITS and non-UCITS regulated funds, with a particular recent focus on Brexit structuring and advising on AIFMD implementation and compliance. Michelle joined Maples and Calder in 2010 and became a partner in 2018. Prior to that, she was with a leading Irish corporate law firm for six years which included a secondment to an asset manager in Paris. She speaks regularly at industry conferences on UCITS and AIFMD issues and is a representative for Irish Funds in Asia. Michelle holds a Bachelor of Civil Law and a Masters in Commercial Law from University College Dublin. 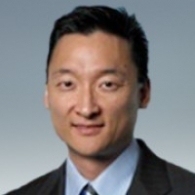 Tae Seok Clement Yoo serves as Managing Director in Client and Marketing Services at HKEX. His department is responsible for Client Relationship Management, including key relationships between HKEX and their intermediaries, global buyside, and custodians and trusts bank. Since joining HKEX in 2011, he was co-head of platform development & strategy and head of product & index development. Yoo has over 20 years of financial industry experience with 14 years at CME Group in business development, sales and risk management in Chicago and Asia. Prior to CME, he worked at Sumitomo Mitsui Bank (Sakura Dellsher, Inc.) and at Goldman Sachs & Co. in Chicago. Paul is a partner in the investment funds and asset management team. He has extensive experience in advising clients on the establishment of and listing of investment funds in Europe and in offshore jurisdictions. Paul advises clients on Hong Kong licensing and regulatory matters. He has also advised clients on their marketing material, websites and on the cross border distribution of funds. Paul has acted for investors investing into private equity funds and negotiates the terms of investment. Paul has advised funds with respect to the utilisation of RQFII and QFII quota in China (including the negotiation of QFII custody agreements) and the application of the Shanghai-Hong Kong Stock Connect Scheme. Paul has also advised fund managers in Asia on the impact of AIFMD including advice on the consequences of being appointed an AIFM, marketing under AIFMD and the impact of the AIFMD rules on remuneration. Paul advised the Hong Kong subsidiary of a leading Chinese asset manager on the establishment of the first RQFII UCITS fund and has advised a number of leading Indian fund houses on the establishment of both their Irish and Cayman funds. Paul has extensive experience in advising on the establishment of UCITS funds in Ireland and on negotiation of all related contractual agreements. Paul advises clients on all aspects of compliance with Central Bank of Ireland requirements. 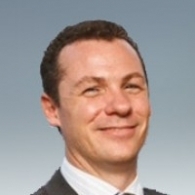 Paul Heffernan is Head of Cross Border Sales for HSBC Securities Services in Europe. Prior to joining HSBC in 2016 he was a global funds business sales executive at Northern Trust, with a focus on the European markets, and has 18 years’ experience in the investment funds industry. Prior to joining Northern Trust in 2011, he worked at the Bank of Ireland Securities Services where he held a variety of roles in the asset servicing business. In his current role Paul provides guidance to international fund managers on European & offshore traditional and alternative investment structures, including mutual funds, exchange-traded funds (ETFs), hedge funds and fund of hedge funds. He has significant expertise in both UCITS and non-UCITS fund products, specialising in cross border activities of the investment funds industry. Additionally, Paul is recognised as a pioneer in the ETF asset servicing industry across EMEA. More recently Paul has been involved in developing significant enhancements to cross border fund distribution capabilities, working with industry bodies to develop the UCITS product and developing a footprint in the APAC region. Paul holds a first class honours MBA in Finance from Smurfit UCD Business School and a Bachelor Degree in Economics & Finance from the University of Limerick. In the Department of Foreign Affairs and Trade, he has served in the following roles: Director for Reconciliation in Ireland [July 2008 – July 2010], Deputy Head of Mission [July 2010 – August 2014] in Embassy of Ireland, Bucharest and Deputy Head of Mission [August 2014 – August 2018] in Embassy of Ireland, Mexico.